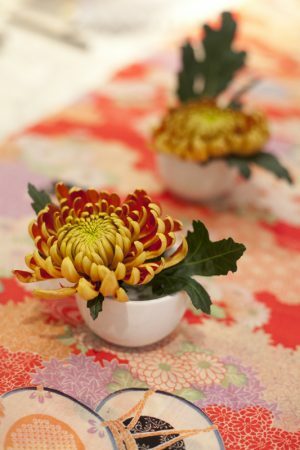 Celebrate your special occasion with our unique and elegant Kimono parties, where you will be immersed in the delights of Japanese culture and the rituals of dressing in Kimono and kanzashi (traditional antique hair ornaments specific to kimono). 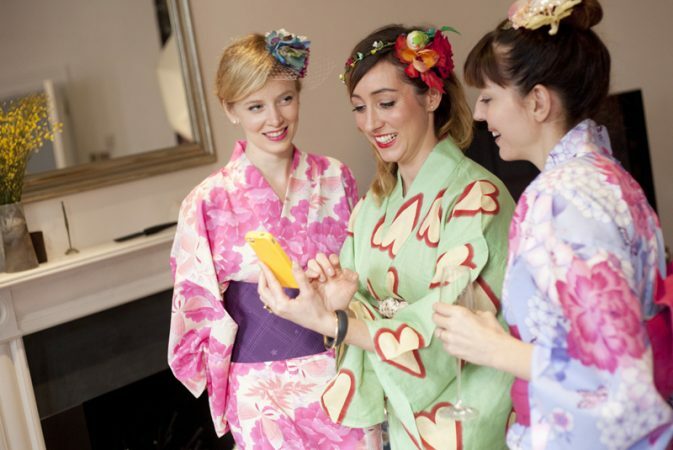 It’s a memorable way to celebrate your hen party or birthday in style. 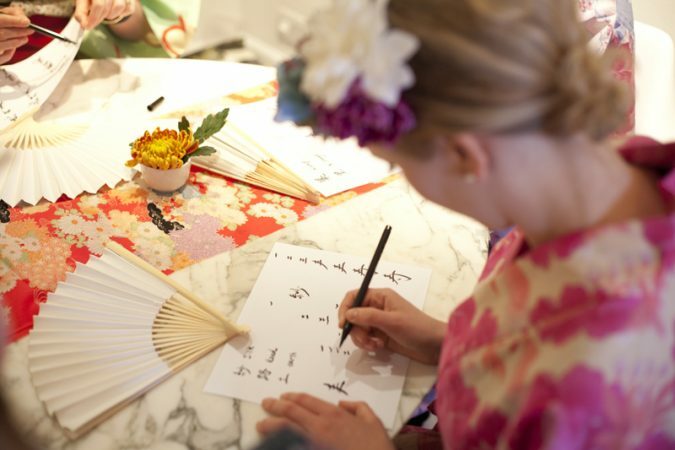 These enchanting Kimono parties will give you the chance to learn your name and it’s meaning in Kanji, as well as practicing the traditional arts of calligraphy on the paper fan. Play a game you’ve never heard of to find out each other’s name. Ladies take their handy-work home as a memento, packaged in an exclusive original cotton bag. Takayo can make your party a fantastic occasion of laughs and surprises, with a uniquely Japanese flavour, at home or a venue of your choice. 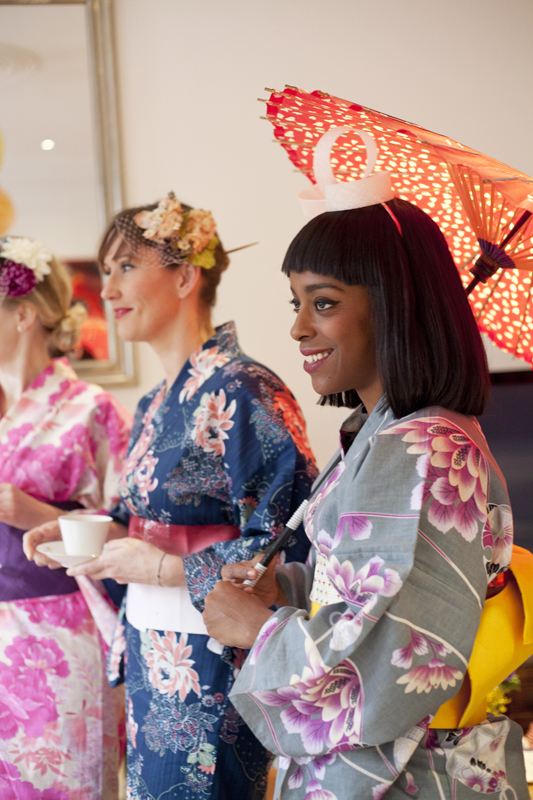 We have a partner venue near Angel and you can also order the delicious Japanese food for an ultimate Japanese experience – for more info. 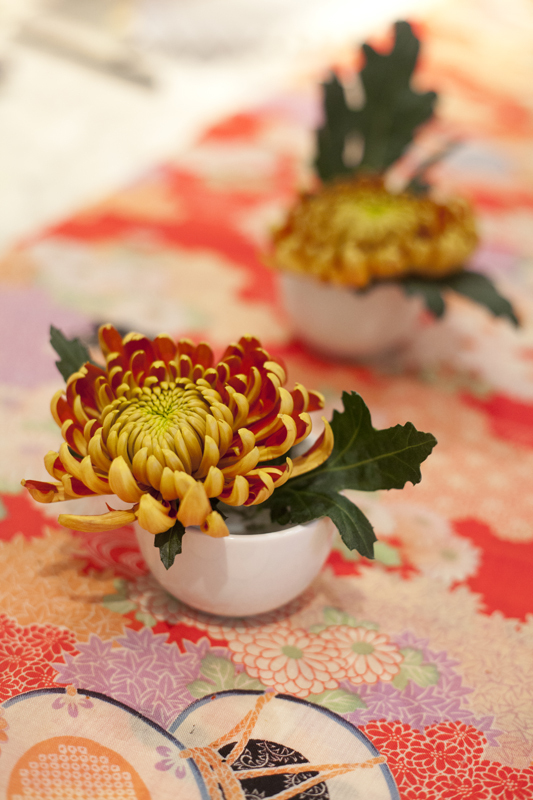 Having already organised many parties at places with diverse range of location, size and style. Please enquire the list of venues we recommend for you to book. 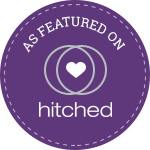 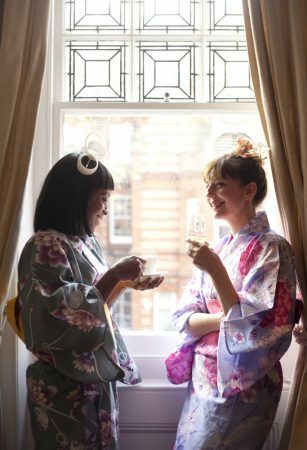 Making sure everyone can enjoy the precious time with the bride-to-be is essential, and the vast range of different size kimonos will cater for plus size and pregnant women. 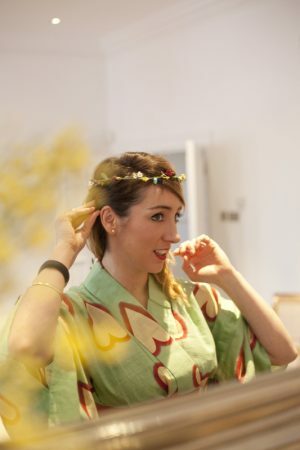 We also have some Men’s kimonos. 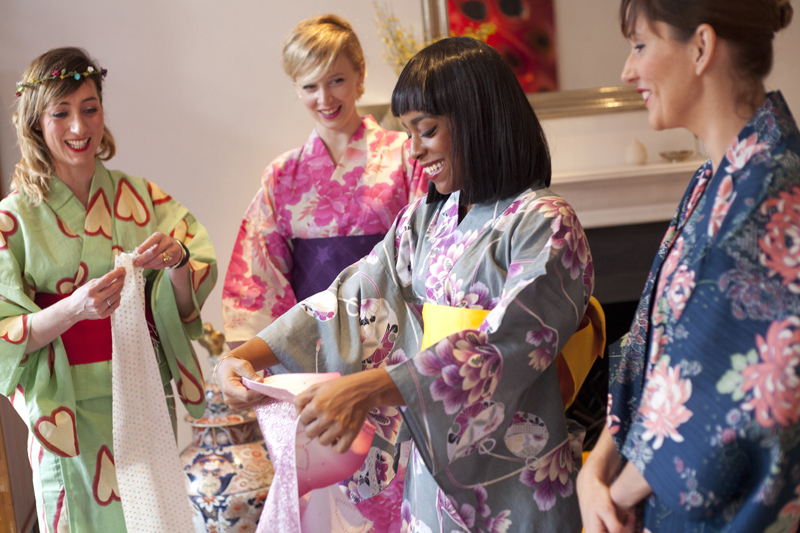 Learn more about bonding experience through our kimono hen party.